No, we cannot solve all the world’s problems or even all of our own personal problems. But we can follow our Lord as best we can, praying for and sharing our resources with our suffering brothers and sisters in Syria. We can respond to whatever bad news we hear with sincere prayer for the victims and discernment about what else we can do practically. For both good and bad, the world is a small place today. On the positive side, you can fly to Guatemala in just a few hours to help a group of remarkable nuns care for orphans, as some of us did earlier in the month. Our trip went very well and we will have more to say about it to the parish before long. On the negative side, the problems of the world are so obvious today because of our communications technology. 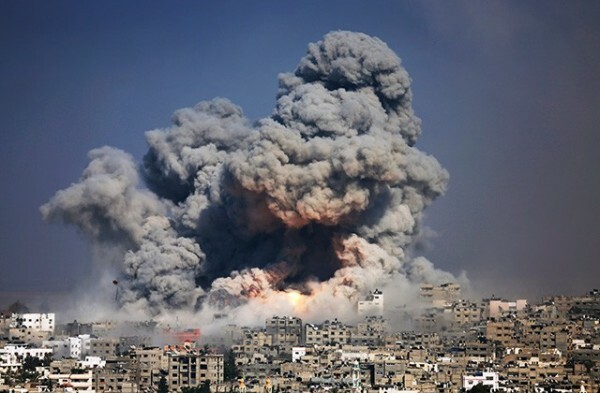 We hear and see the bad news from the Ukraine, Iraq, Gaza, Israel, Syria, and other places. It is easy to become overwhelmed by world problems over which we have no control at all. But washing our hands of responsibility for responding to the suffering of others is not a truly Christian response. We must do what we can to alleviate the suffering of our neighbors wherever they are, remembering them in our prayers and offering our resources when they are needed. And we must refuse to despair. Today is “St. Timon Sunday Day” in our Diocese, when we remember St. Timon, one of the seventy apostles sent out by Jesus Christ and one of the original deacons mentioned in the book of Acts. He became the bishop of Bosra in Syria and eventually a martyr. All Christians are in his debt as a pillar of the early Church. He converted many Arabs to the Christian faith, which is a reminder that there have been Arab Christians in the Middle East since the very beginning of our faith. In our Antiochian Orthodox Archdiocese, we should remember St. Timon with great appreciation, for he played a crucial role in building our mother church and in evangelizing the part of the world where our faith began. As we all know, a terrible civil war has raged in Syria for a few years now. Everyone there is suffering, millions are refugees, and over 150,000 have died. Churches have been destroyed and desecrated. There is no word on the status of the two kidnapped Orthodox bishops for whom we pray in every service. The situation is so dire that Orthodox Christians who were providing aid to others now stand in line to receive aid themselves. And in such a conflict, millions of innocent people are caught between warring factions and simply trying to survive with hardly any resources. Our parish has given generously on several occasions in the last few years to help the poor people of our sister Diocese of Bosra-Hauran in Syria. Today we pray for them again and take up another collection that will soon be combined with collections throughout our Diocese and given to their Metropolitan SABA. Please give what you can and remember our suffering brothers and sisters there in your daily prayers. The world is a small place today, for good and for bad. Let us use our connections with Orthodox Christians in Syria for good, sharing our resources with them as best we can. In doing so, we will resist the temptation to accept worldly definitions of “us” and “them,” of “friends” and of “strangers.” Probably ever since Cain slew Abel, human beings have defined themselves over against others and tried to convince ourselves that God is as petty and insecure as we often are. So nations, political factions, and ethnic groups often hate one another, and refuse to forgive or to compromise in ways that would be best for all concerned. There is too much of that attitude in the Middle East, for example, to this very day. As the New Israel, the Church is not a worldly kingdom or a military power. The Lord specifically rejected the temptation to set up an earthly reign throughout His ministry, and we must not be fooled by anyone who tries to convince us that any nation or ethnic group or political movement will usher in the Kingdom of Heaven or is the salvation of the world. As Orthodox Christians, we must not be sucked into any form of idolatry—political, racial, or otherwise. Instead, we must humbly follow the way so clearly shown by our Savior, providing mercy and care to those who bear the burdens of our broken world, binding up their wounds as best we can as a sign of His salvation, which extends to all who call upon Him from the depths of their hearts with faith, repentance, and love. That may sound like a soft and weak way to live, but it is actually the strongest and most demanding calling human beings can have. As St. Paul reminded St. Timothy, to be a faithful Christian is like being a soldier who is disciplined, single-minded, and refuses to be distracted from his mission. It is like being an athlete who rises early to run, lift weights, and complete endless drills in order to compete to the best of his ability according to the rules. It is like being a farmer whose life revolves around the crops and who works from sunup to sundown in all kinds of weather to bring in the harvest. Sts. Paul, Peter, Timothy, and Timon were so strengthened by such dogged and courageous devotion that they all became martyrs, refusing to renounce Jesus Christ even to the point of death. In our world, so full of hatred, pain, and suffering, we will be of no benefit to anyone if we sheepishly follow the popular and easy ways of conventional thinking about “us” versus “them.” The world already has more than enough people who hate, refuse to forgive, and care only about themselves and “their own kind.” Following the way of Jesus Christ, we must instead do the hard work of manifesting His love and mercy to all as a sign that a Kingdom not of this world is already present in the life of the Church, the Body of Christ. His Kingdom is already present in the hearts and lives of those who love their neighbors as themselves, who forgive their enemies, who turn the other cheek when offended, and who go the extra mile to model a life of reconciliation and peacemaking that will attract others into the new day of God’s Reign. No, we cannot solve all the world’s problems or even all of our own personal problems. But we can follow our Lord as best we can, praying for and sharing our resources with our suffering brothers and sisters in Syria. We can respond to whatever bad news we hear with sincere prayer for the victims and discernment about what else we can do practically. Like soldiers, athletes, and farmers, we must remain focused on fulfilling our calling to be faithful in doing what the Lord has called us to do. And in humility, we must leave the rest in His hands, for He is truly the Savior of the world.